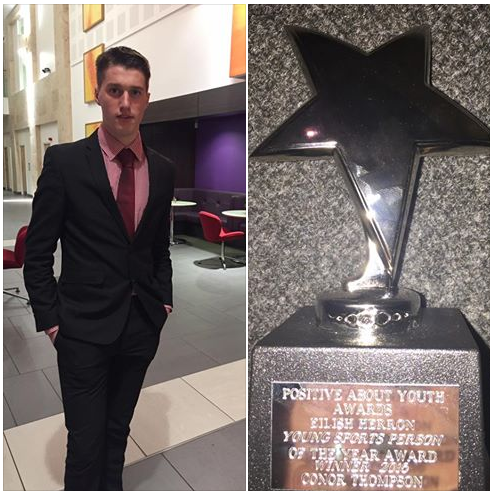 On 2nd November 2016 at Johnstone Town Hall, Conor Thomson was awarded the Positive About Youths Eilish Herron Young Sports Person of the Year Award. 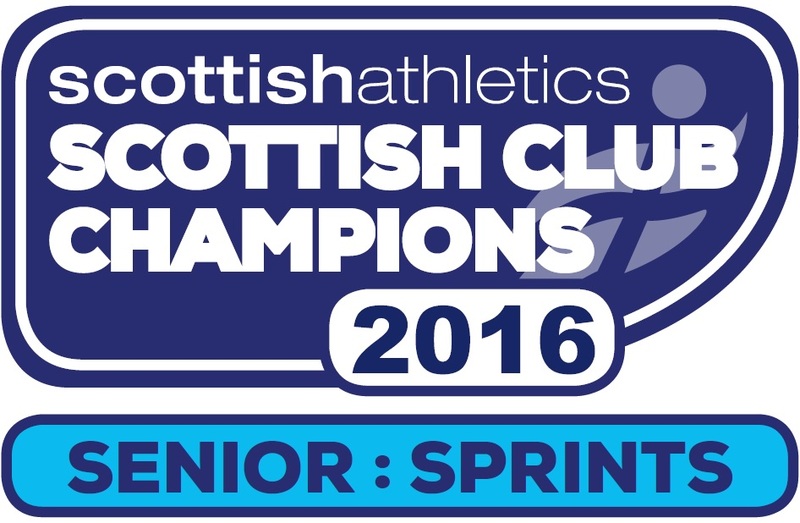 Conor is a member of Kilbarchan Amateur Athletic Club, one of the top six amateur athletics clubs in Scotland. A member of KAAC since he was 11, Conor regularly competes for the club as a senior. 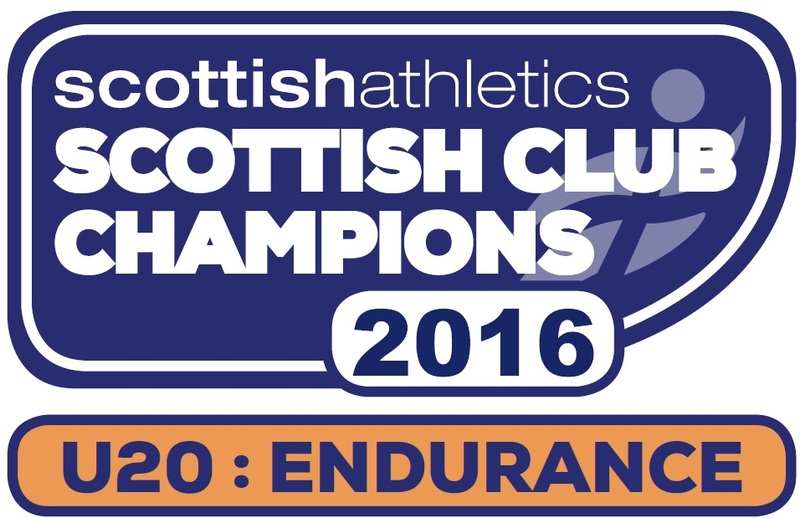 He has represented Scotland West in the Scottish Inter District Cross Country Championships and competed at UK level athletics in the UK Youth Development League. Conor – who attends Gleniffer High School and is also studying for a sports qualification at college – is a volunteer with Renfrewshire Leisure’s Active Schools programme, where he coaches youngsters in athletics and football. He is also a volunteer coach with KAAC, working with endurance runners ages 12 and 13. PAY Awards 2016 – designed by award-winning community–based youth forum Renfrewshire Youth Voice – honoured the remarkable skills, abilities and contribution of local young people aged between 12 and 25. Prize winners in the sixth annual awards held by RYV – with support from Renfrewshire Council’s Youth Services – saw star-shaped trophies go to young people judged by RYV to be the best in 11 different categories of achievement. The 2016 event attracted dozens of nominations from young people and the public and saw awards going to groups and individuals across a range of topics, including Young Carer of the Year, Young Volunteer of the Year and Unsung Hero of the Year. “The young people honoured at the PAY Awards 2016 are truly amazing. It was a privilege to hear about their remarkable achievements and to see them getting the recognition they deserve. St Andrew’s Academy 6th year school mates Christopher and Valerie took the top honours in this category. Christopher – the school’s Dux – has made exceptional progress in the violin, which he took up only in S1. He not only attained a Distinction in his Grade 7 violin last year but was offered places in both the National Youth Orchestra of Scotland and also West of Scotland Schools’ Symphony Orchestra (WSSS0). Christopher now plays with WSSSO, performing both at home and abroad during a trip to Italy in summer 2016 and has been accepted to the Royal Conservatoire of Scotland Junior Academy. Christopher is also in the 2016-2017 cohort for the Royal Scottish National Orchestra (RSNO) Young Ambassadors scheme, becoming involved while studying for five Highers – getting A grades in all five – and playing in the regional Symphony Orchestra. Valerie is currently studying Advanced Higher Music after obtaining five As at Higher in S5. She is a classically trained singer who has performed with the Paisley Abbey Choir for many years. She is working at Grade 6,7 in Piano and Voice and her ambition is to pursue a career in music and vocal performance. “It’s a fabulous achievement for Christopher and Valerie and the school is very proud of them. “Christopher is an exceptionally talented musician and it is wonderful to see his achievements recognised in the PAY Awards. “He is a superb young adult, hardworking and skilled, who has played at many of our school events. We are sure that he will go onto even greater musical achievements. Winner Clara has been successful in winning national scholarships in dance and performed regularly as part of Paisley’s successful Elma Whyte Dance School annual show as well as on a national British Association of Teachers of Dance (BATD) conference. The daughter and grand-daughter of dance teachers, Clara has achieved medals and gradings in hip hop, ballet, jazz, tap, modern. She travelled to Toronto to assist her mum deliver dance masterclass and volunteers regularly at the dance studio, learning how to help younger dancers. The winners are pupils and ex-pupils from Castlehead High School who worked with the NHS Health Improvement and Renfrewshire Youth Services team for the last year on issues around sexual health. – devised a peer education workshop on sexual consent. The girls are also working towards completing their Youth Scotland Silver Youth Achievement Awards. “We are delighted at the work that the girls put into this project as part of their work on health and wellbeing. A volunteering role with the Scottish Alternative Music Awards (SAMA) last year led former Paisley Grammar School pupil Calum to become an integral part of SAMA. Calum – a Media & Communications graduate from Glasgow Caledonian University – assisted in strengthening the nomination process, creating web content, generating ideas towards booking and helping out with the general running of the awards. The team behind the Awards hosted a show for #PaisleyMusicWeek and Calum’s dedication to the successful event – as well as his passion for music and the development of SAMA – impressed his bosses. Calum’s now combining work with studying for a Masters degree. Former Renfrew High School pupils Amanda Reid has volunteered over 4000 hours with Renfrew YMCA over the last four years. Amanda – now a college student in Glasgow – mentors several women aged 50-plus in building IT skills, internet safety and social media and has given up all her free time to ensure that the children, young people and older adults of Renfrew are provided with a service. She’s attended a youth works training camp in Germany where she developed her skills – and has raised over £500 for Renfrew YMCA over the years. Winner Neil cares for his mum at a time when most teenage boys are out enjoying themselves. He has managed to pass seven National 5 exams and will be sitting five Highers – while running the house, doing shopping and housework, looking after his mum and taking care of the dog. His dedication to all his responsibilities and his cheery upbeat disposition has won the admiration of his teachers at St Benedict’s High School, Linwood. His ambition is to study Biological Sciences at Edinburgh University. Neil said: “I’m proud to have received the Award but hope others would do the same in my position. I was delighted to have received the nomination and feel Shelley would have been an equally worthy winner. Gerry O’Neil, Head Teacher at St Benedict’s, said: Neil has shown a tremendous commitment to his family during his time in St Benedict’s. He is very well organised, as he needs to be, to manage the demands on his time. The Champion’s Board is a forum for looked-after young people enabling them to express their views to their corporate parents. The Champion’s Board meets fortnightly and currently has 10 members aged between 13 and 19 years old. – Contributing to improvements in housing protocol for looked-after young people. Winner John Martin was a pupil of Gleniffer High School until summer 2016 and his drive and enthusiasm assisted students and community to achieve success and obtain new skills. He played a huge role in the schools’ Go4SET team at the Big Bang Fair – the largest celebration of Science, Technology, Engineering and Mathematics (STEM) in the UK. This included helping others with time management, presentation and communication skills and being very supportive both to his peers and younger students. John is also a Saltire Summit Award winner – for outstanding contribution to volunteering. He has committed over 200 hours to volunteering which has included establishing and managing a ‘Silver Fox Surfers’ training course for local pensioners, being a hockey coach for S1s to S3s, and being an Ambassador for Renfrewshire Council. 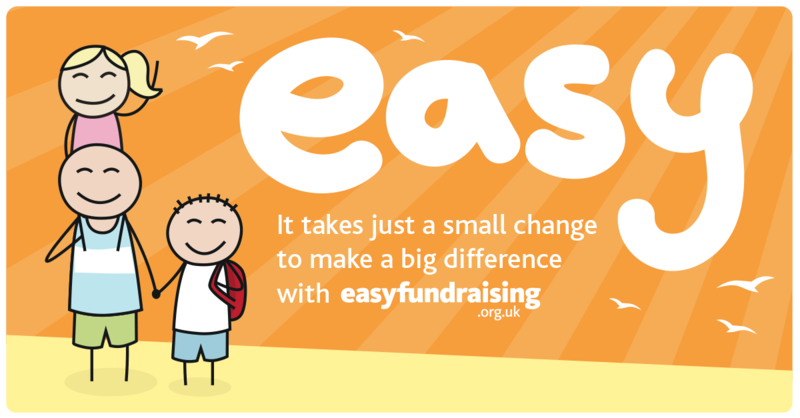 He is now volunteering with Engage Renfrewshire, with responsibility of forming and Chairing Renfrewshire’s Saltire Ambassador Group – a new group which will help and support young people with Saltire generally, plus peer assess Renfrewshire’s Saltire Summit Award Submissions. Trinity High School APD Group has a long-standing association which actively supports the Association of People with Disability, an Indian charity which helps under privileged people with disabilities. The school’s latest two week trip in 2016 provided pupils the opportunity to experience life within Bangalore and work with a number of disabled people and young people with learning difficulties. The students assisted in lessons and participated in sporting events which they had planned before they set out for India. They taught English lessons and also provided help with interview techniques. While in Bangalore they also attended home visits with APD’s early intervention unit, which works in some of the poorest parts of the city. Visiting India highlighted the need for on-going support for APD and the girls have continued to promote the work since they returned to school. They’re currently organising charity events to raise further funds for APD. Trinity High School Head Teacher, Mrs Margaret Renfrew, said: “We’re absolutely delighted that the hard work and endeavours of pupils and staff in support of APD have been recognised by Renfrewshire Youth Voice. “The girls in the group had to raise £1500 each last year to get to India but managed to raise a further £10,080 collectively as well. George’s dedication to volunteering includes being a sports coach with Renfrewshire Council for five years from the age of 17, taking time out of his university studies to contribute to local children’s physical education. George has also been a Scout Leader at the St. Mirin’s Scout Group since he was 18, and several times a year he travels to camps and activities around Scotland helping with the Scouts. Through the Scout Group, George has been involved in fundraising campaigns for many charities and good causes including Renfrewshire’s two hospices. In 2010 and 2014, George spent his summer holidays helping students and teachers from St. Andrew’s Academy in Paisley build schools in Ghana. As well as the good this did for the children of Ghana, it also helped to foster a relationship between St. Andrew’s Academy and Ghanaian communities which continues today. George achieved the Mark Scott Youth Leadership for Life Award. Part of working toward this involved painting/decorating a local day centre for elderly people along with a group of other young people. George regularly helps to organise local events for good causes and he has been described as the perfect candidate for this Award.